Inspired by Suzanne Lacy’s ‘The Crystal Quilt’ (which is exhibited in Tate Modern’s Switch House alongside a short film we were inspired by), we will be reimagining what a quilt can be and invite you to create your own warm-yellow patch with a word on that you hope to manifest in 2017. There will be craftivists on hand to help. Reflect on your word, talk about your patch with other craftivists at the events and how you can all practice your word in 2017. 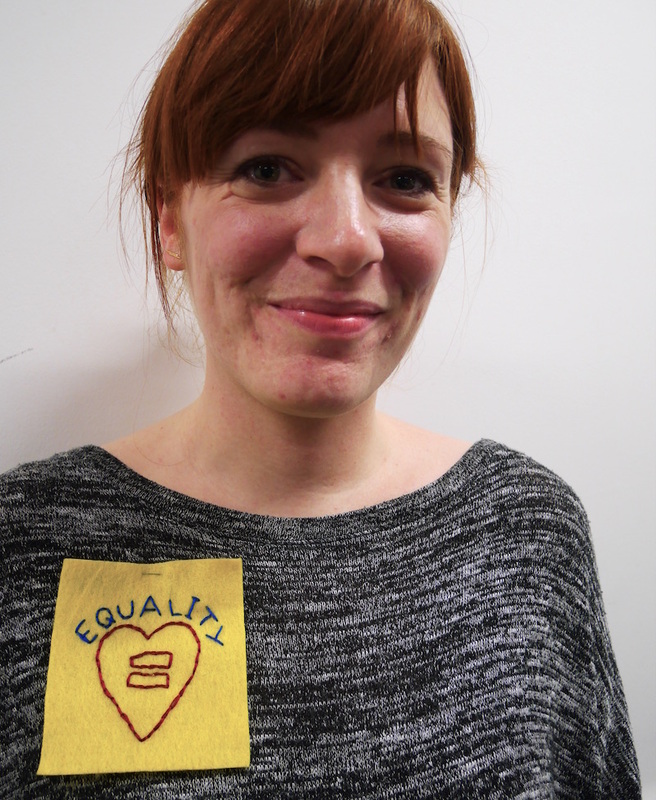 Wear your patch to be part of a living quilt, share an image of you and your patch online (#patchesofhope @craftivist @Uniqlo_UK @Tate) to be added to a virtual quilt (there will be a Photo Booth to do this at the Uniqlo event on 15th!) 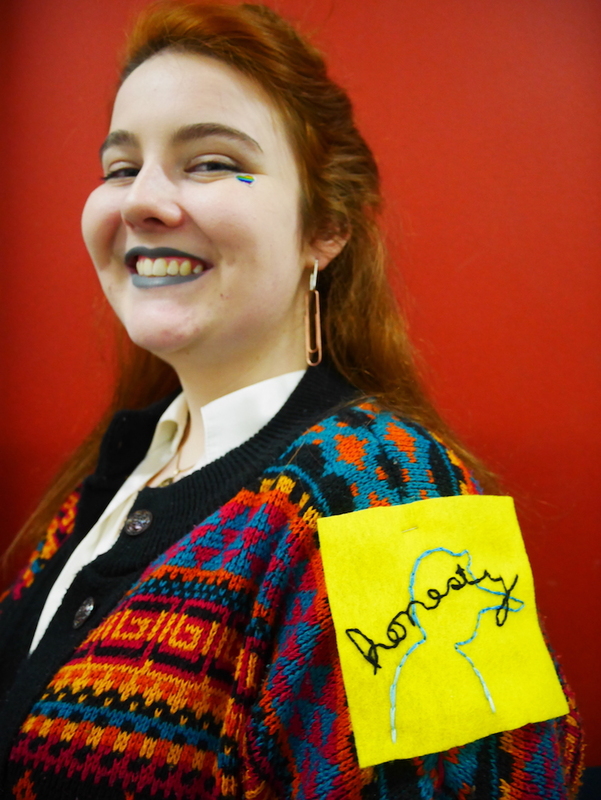 and take your physical patch home with you as a reminder of the human quilt you are part of and to create a renewed hope in how you can be the change you wish to see in the world in 2017. We are living in a world that is going through a lot of change and this can often feel overwhelming and scary. We can easily fixate on all of the bad happening in the world and forget all of the beauty and kindness also in our world. Our default is often to think that individually we cannot make any positive difference but we can. 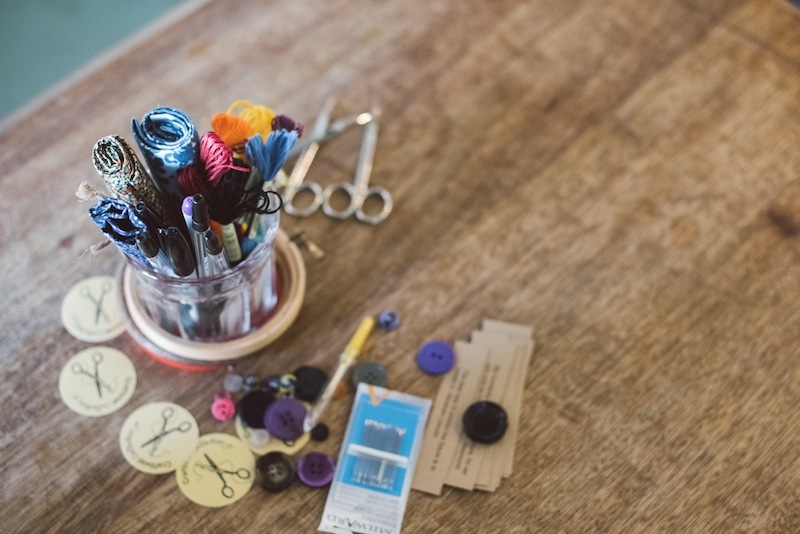 Creating something physical using repetitive hand actions such as handicraft not only helps reduce anxiety but also helps with anger-management and can calm you down so that you can think clearly and strategically. If we just focus on the problems we see in our world we can go into a downward spiral and struggle to see a way out. Whereas focusing on the vision of a harmonious and beautiful world for all helps our brains figure out how to manifest that vision of a better world (more info on the psychology behind this is here). The Craftivist Collective approach to craftivism is a ‘gentle protest one that involves ‘slow activism’ so come and take your time stitching your word, reflect on the #crafterthought questions we offer whilst listening to DJs from NTS Radio playing instrumental music to encourage and enhance your thoughts not distract you so that you can use the making time to think through how you can act out your values and get one stitch closer to your goal for a more beautiful, kind and just world for all. What hope will you stitch on your patch? Not only does it feel fantastic to get together with some friendly faces to discuss and share ideas on social change and our vision for a better world, it can make the world of difference to the projects you’re working on too. Hearing other people’s views on how you can manifest your word in 2017 can be inspiring, empowering and can open up completely new ways of thinking for you. These two events are to help you remember that you can be a patch in a beautiful, diverse tapestry of other changemakers also making a difference. 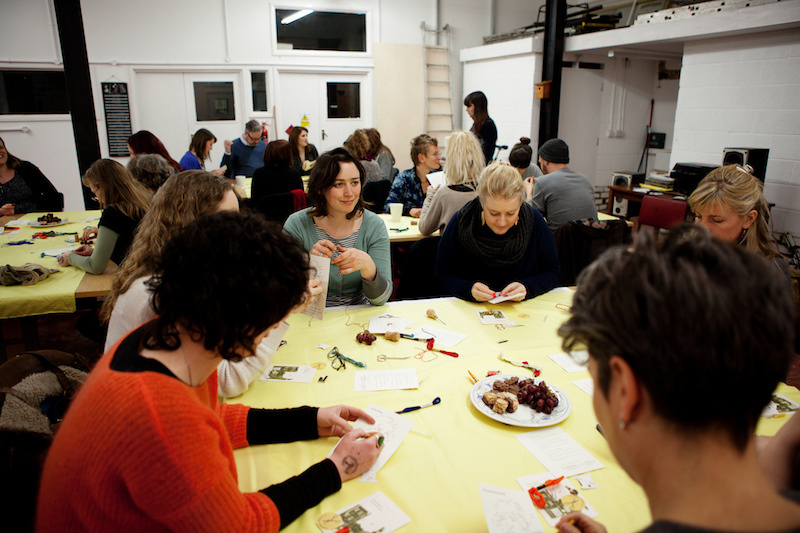 You can craft whilst reflecting on our #crafterthought questions or listening to other people’s musings without the pressure of having to talk if you don’t want to. 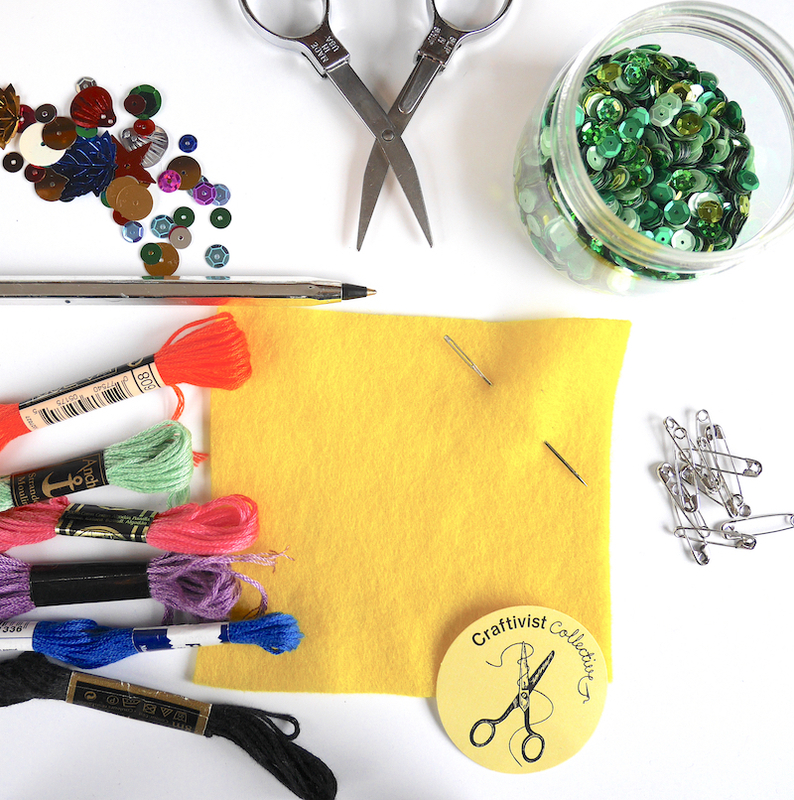 Crafting can give introverts and shy people a way focus their eyes on their making if too much eye contact with others is stressful. This lack of eye contact also creates a calm, quiet environment where people can discuss their views with people alongside them or across our small table stations (8 people at each table). 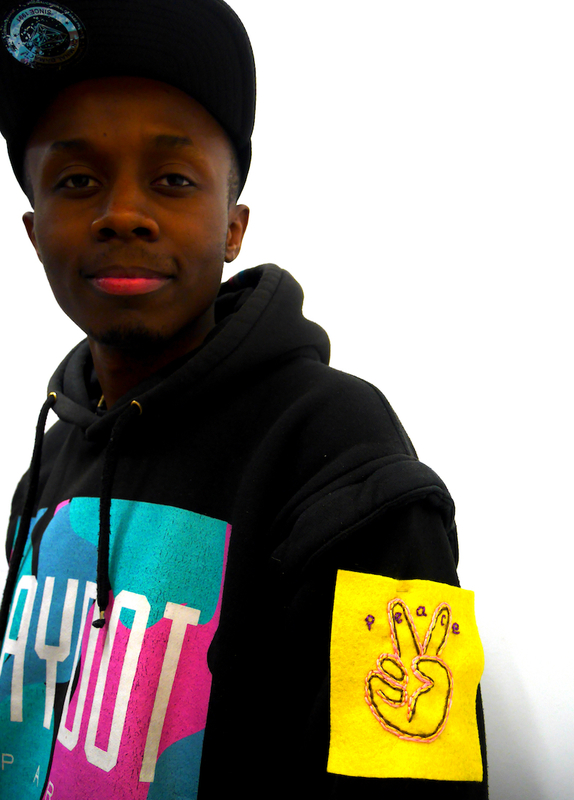 In this fast-paced world, making a physical object like a patch you wear can be a powerful tool to take us out of our auto-pilot-robotic actions and remind us to stop, think and strive to be our best selves in all that we say and do. What words do you want to practice in 2017 to make our world a more loving place for all? Do you think we need more empathy in our world to try to understand each others struggles and fears so that we can build bridges and work together rather than not walls and just shout at each other? 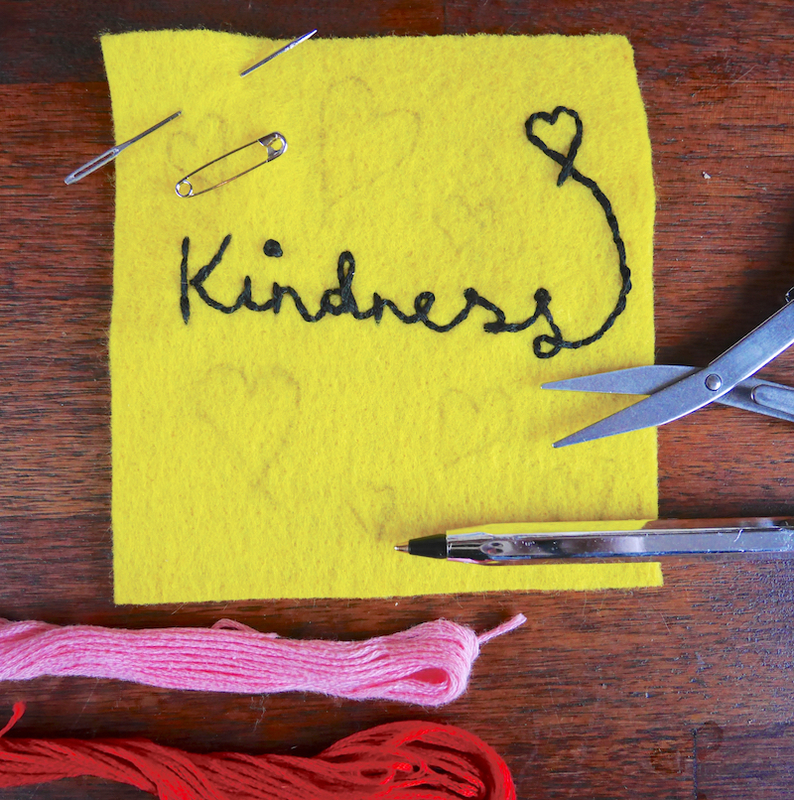 Do you think we need more kindness in the world from small daily actions to more kind laws and policies? Is equality your big hope for 2017? Imagine a world were we all treat others how we would like to be treated. Do you hope that 2017 brings the end of ‘alternative facts’ and encourages us to question myths? Maybe myth-busting is the word for your patch to hope that it will turns into action. Safety is something we all crave. Do you hope that we can all help each other feel safe and loved other than in danger and fearful of ‘the other’? What word will you stitch? Yellow represents a shining hope for 2017. How can you create a small part of your hope for 2017 in your daily life? 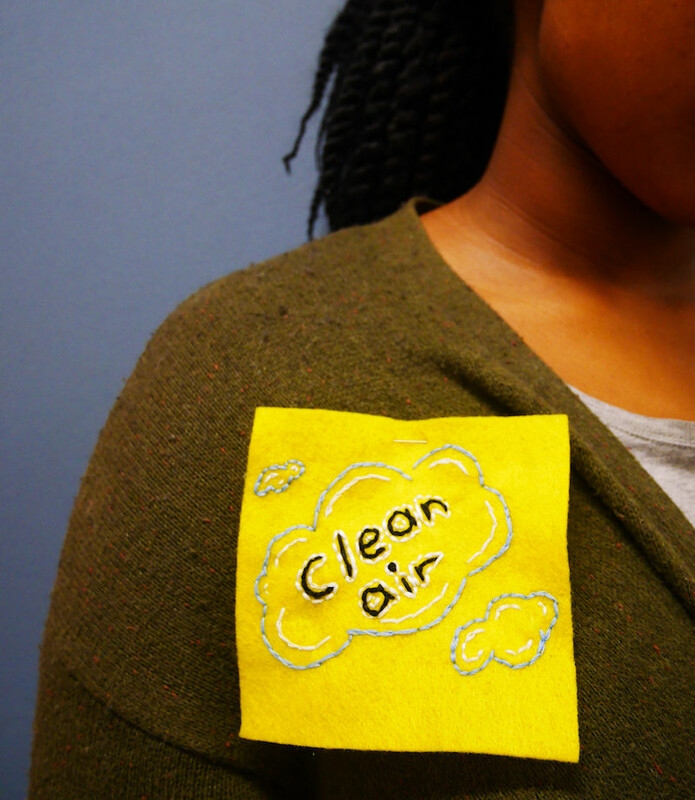 As one patch of a giant quilt (our world), what can you do in your area to improve our world? How can you thread your values through all that you say and do? The first of two London events will be in Uniqlo, 311 Oxford Street store on Wednesday 15th February from 6.30pm – 9pm and there will be DJs from NTS Radio who are excited to play music to help us craftivists (that’s encourage #crafterthoughts and discussions around hope in 2017. All materials will be provided and refreshments will be available so bring your hopes for 2017 and your creativity and we’ll help your sew the hope onto a patch. If you would like to attend this event please register your interest here. The second event will be at Tate Modern, Friday 24th February 6pm-10pm. As part of February’s Uniqlo Tate Late celebrates women in art by taking inspiration from the pioneering contemporary female artists in their collection. Find emerging and established DJs selected by NTS Radio, alongside world-class exhibitions, pop-up talks, playful artistic activations and hands-on workshops (including ours!). Or simply enjoy the space, the music, the views and the delicious food and drink offers. Uniqlo Tate Lates are free and open to all. More info on the rest of the line up here. I really like your blog it contains very informative information about embroidery thanks you for sharing it.